Why Should I Rent My Home? No matter how weak or strong the housing market is, renting out your home and becoming a landlord can be a smart financial decision. Even if rent payments don’t match your mortgage payments, the tax benefits and long-term wealth creation of owning rental property can be profitable and trump selling your home. And with Renters Warehouse, renting out your property has never been easier. Here are 8 reasons why renting your house is better selling. In fact, renting out your home gains you automatic entry into the Rent Estate Club. Rent Estate is “real estate for the rest of us”: the process of owning and renting one or more income properties for long-term cash-flow, equity and tax benefits. Learn more about it here. Read on to find out if renting your home is right for you, or download our FREE “Rent vs. Sell” handbook below. How Do I Know if Leasing My House is Right for Me? According to housingwire.com, the demand for rental housing is expected grow by nearly 6.6 million units through 2016, with about 4.2 million new renters attributing to the total. As a result, rent rates are expected to increase 2-4% nationally over the next 2-3 years. Landlords enjoy long-term equity and profit resulting from owning real estate. Selling your home is a “one and done” transaction. Renting your home can produce steady, reliable cash-flow for as long as you want it to. 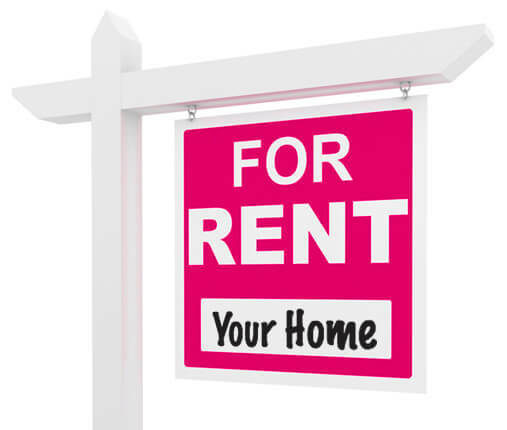 Owning and cash-flowing on rental property can be a great way to reduce your personal taxes*. Potential cash deductions include: management fees (what you might pay Renters Warehouse for our Tenant Placement, Property Management and Protection Plan services); reasonable maintenance expenses for repairs (paint, plumbing, fixing drywall and replacing doors, locks or broken windows); depreciation, travel and legal fees; and interest on your mortgage or credit cards used for management purposes. For more information,check out our Guide to the Tax Benefits of Renting. Renting can help you avoid potential losses from selling in a weak market. Again, renting out your home gives you the benefits of a positive revenue spigot that’s always on vs. a “one and done” sale in which you might have to sell your home for less than you bought it for. It can be tough to find a buyer for your home, but people rent in both strong and weak economies. The fact that the rent you charge can respond to broader economic conditions is a great potential shield against inflation. Real estate investment forces you to have a solid retirement plan over time. Most people aren’t as good as they should be about saving money. If you haven’t been terrific about building your IRA or 401k, having a rental property requires a commitment that helps you build wealth for future needs. The new Renters Warehouse Investor Marketplace allows investors to buy, manage and sell properties all in one place. The portfolio visualizer tool allows real estate investors a way to receive valuation and stock like analytics on their investment properties. In the short run and the long run, you might be surprised at the power—and profitability—of renting! Interested In Renting Out Your Home? Find out how much your home will rent for with a FREE Rental Price Analysis. * Renters Warehouse always recommends working with a licensed tax professional to help you navigate the tax advantages of real estate investment. Renters Warehouse cannot give tax advice as we are not certified tax professionals.